Mark Sikes. Potrait by Amy Neunsinger. 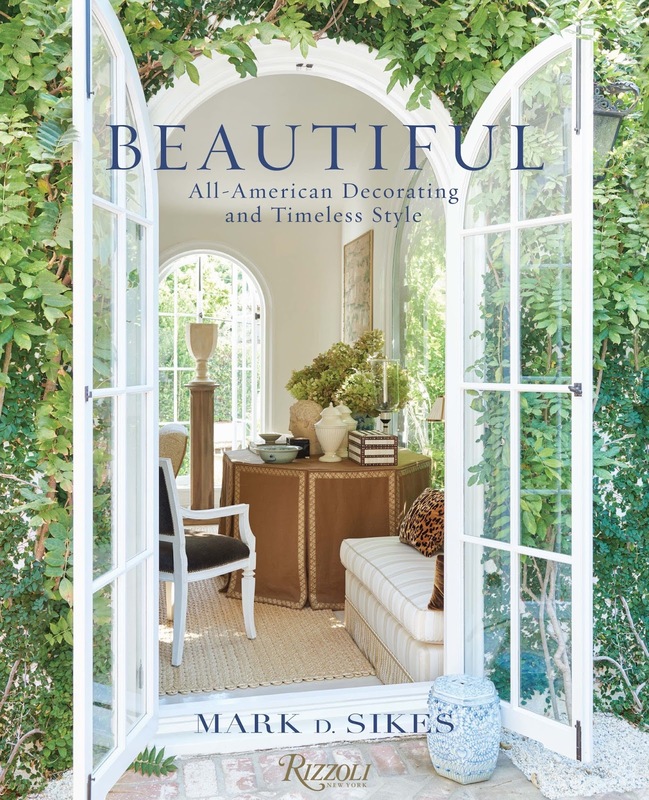 Meyers even wrote the introduction for Sikes’ first book, Beautiful: All-American Decorating and Timeless Style ($45, Rizzoli). The book is filled with elegant, comfortable rooms layered with Sikes’ trademark design elements — cheerful blue-and-white porcelain, wicker and rattan, and fabrics in stripes, batik, and ikat patterns. As you'll notice, he's crazy about stripes (see his interview below, where he tells us where that obsession came from). Southern belle Reese Witherspoon, who hired Sikes to imbue her Nashville home with bright colors and floral prints, also tapped him for the design of her lifestyle store, Draper James, which opened in Nashville last fall. Texas will get a taste of Sikes’ punchy American style this month, when Draper James opens in Dallas in Highland Park Village. 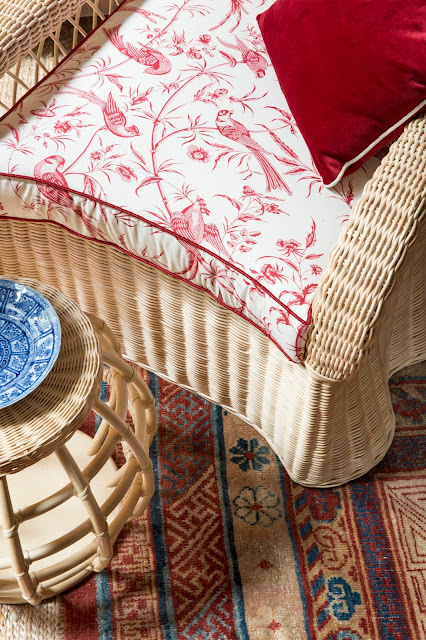 This fall, Sikes is also introducing collections for a raft of venerable American companies, including fabrics for Schumacher & Co.; a 150-piece furniture collection for Henredon; accessories for Maitland-Smith; and striped dhurrie rugs for Merida. 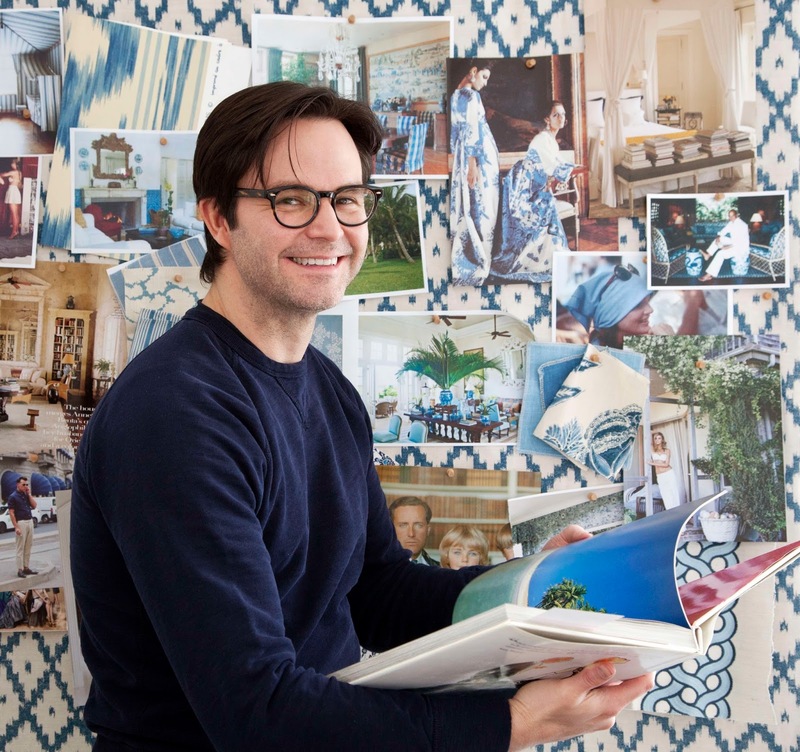 Sikes employs stripes in everything from residential projects and store interiors to his fabric and rug collections. Several years ago, he launched MDS Stripes, women’s American classic clothing based around blue-and-white stripes, with a ’30s, ’40s, ’50s old Hollywood and American ingénue vibe, which he sells through his website, Moda Operandi, Club Monaco, and Shopbop. Whenever I’m in Miami, I have to stay at Casa Tua. It’s a Mediterranean-style villa and garden that’s been the same for 20 years; they don’t even have a pool. When I’m in Europe, I try to stay at Hotel Lungarno in Florence. I love how understated and charming it is. Last thing you bought for your house. Michael and I have a house in the Hollywood Hills that’s a little bit Mediterranean with some Regency details. I’m updating rooms with fabrics from my Schumacher collection. Describe your fabric collection for Schumacher. It’s very all-American, with a chinoiserie vine print, ikat, stripes (I love stripes), blue-and-white, and medallion prints. I’m working on a house for a client in Malibu right on the ocean, so I’m mesmerized by the water and sky and sand. When I decorate a house, I’m always thinking about the space around it and how to bring the feeling inside. I’m obsessed with the Pacific Ocean right now. Snowdon Blue by Lord Snowdon, a collection of portraits.One Man’s Folly: the Exceptional Houses of Furlow Gatewood, the southern antiques expert. I love all the Horst books. The interiors from Vogue Living: Houses, Gardens, People were very inspiring. When I started my blog five years ago, I’d just moved to L.A., and I was in limbo. Michael and I had bought a new home and were decorating it. I had just kind of tapped into the blog movement as a way to journalize what I love. About the same time, I got a project published in House Beautiful, and the blog took off in an exciting way. The book really came out of the blog. I’d already formulated a story in my head about my design work, what inspires me, how I curate, and how I do things. So when I started talking to an agent, the story was easy to tell. How you met Nancy Meyers. About three or four years ago, I was working on store windows for an event in L.A., and she came in with her daughter. I didn’t know who she was. We started having a conversation, and she noticed that the same fabrics she was looking at, we had in our windows. A month later, I got an email asking me to help with some areas in her house. She’d been doing some research on me. It wasn’t until later that I found out she was Nancy Meyers the director. I’m still working on her house in L.A.